Nabil Abou-Rahme, Ph.D., will lead Bentley Systems’ efforts in digital advancement research, collaborating with government, university, and industry visionaries to promote innovative solutions for advancing infrastructure. London — Bentley Systems, Incorporated announced that Nabil Abou-Rahme, Ph.D., joined Bentley as chief research officer for Bentley Institute’s Digital Advancement Academies. He will work from Bentley’s London offices, and will lead Bentley’s efforts in digital advancement research, collaborating with government, university, and industry visionaries to promote innovative solutions for advancing infrastructure. His new role was introduced to fellow researchers attending the Future Infrastructure Symposium convened at Bentley’s London Digital Advancement Academy. Abou-Rahme joins Bentley from the global consultancy firm Mott MacDonald, where he was actively involved in digital transformation, most recently as head of smart infrastructure and global practice leader for data science, and prior to that, as divisional director for intelligent transport. His career began with applied research in network optimization and control at the Transport Research Laboratory, where he went on to manage research teams and complete a PhD. Subsequent technical highlights from his consultancy roles include specifications for the EU ITS Directive, implementation of bank-led contactless payment systems on public transport in South Africa and developing operational regimes for the first “smart motorways” in the UK. 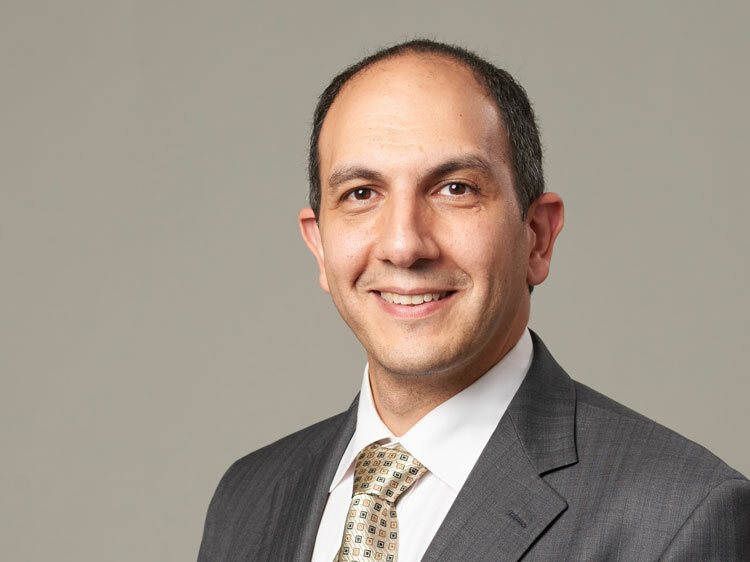 A chartered engineer, Abou-Rahme holds a Ph.D. in Bayesian statistics from the University of Southampton, a Master of Science from University College London, a bachelor’s degree in civil engineering from Imperial College London, and a general management certificate from Roffey Park. In his talk at the Future Infrastructure Symposium, a two-day gathering of industry experts, university researchers, and thought leaders to discuss the future of infrastructure, Abou-Rahme referenced a number of Bentley Institute-sponsored research projects around the world, including demonstrator projects at University College London, University of Cambridge, and Imperial College, and encouraged parties interested in collaborating on future demonstrator projects to contact him at Bentley.Institute@bentley.com.